This special edition, organic cream cleanser and make-up remover has a deep and complex aroma blend rarely found in natural cosmetics. 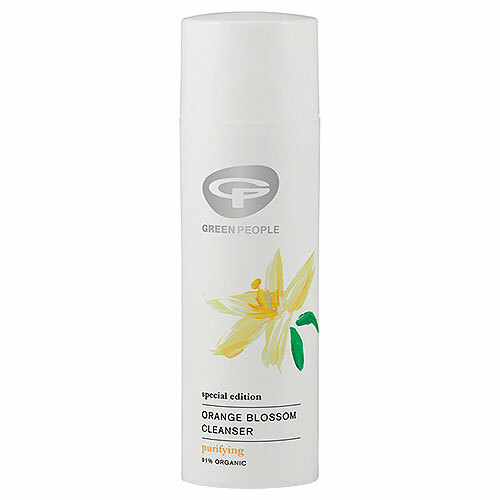 It gently removes make-up and impurities, including waterproof mascara. Aqua, Olea Europaea Fruit Oil*, Helianthus Annuus Seed Oil*, Glycerin*, Butyrospermum Parkii Butter*^, Squalane, Cetyl Alcohol, Cetearyl Glucoside, Cetearyl Alcohol, Elaeis Guineensis Oil*^, Glyceryl Stearate, Aloe Barbadensis Leaf Juice Powder*, Simmondsia Chinensis Seed Oil*, Rosmarinus Officinalis Leaf Extract*, Calendula Officinalis Flower Extract*, Aroma [Citrus Aurantium Amara Flower Oil*, Citrus Grandis Peel Oil*, Citrus Limon Peel Oil*, Piper Nigrum Fruit Oil*, Origanum Majorana Herb Oil*, Lavandula Hybrida Herb Oil*, Citrus Nobilis Peel Oil*, Cupressus Sempervirens Oil*, Citrus Aurantium Bergamia Fruit Oil*^, Citrus Aurantium Dulcid Peel Oil*, Pelargonium Graveolens Oil*^, Cananga Odorata Flower Oil*^, Leptospermum Scoparium Branch/Leaf Oil], Hydrolysed Jojoba Esters, Sodium Stearoyl Glutamate, Benzyl Alcohol, Salicylic Acid, Sorbic Acid, Benzyl Benzoate*, Benzyl Salicylate*, Citral*, Citronellol*, Farnesol*, Geraniol*, Limonene*, Linalool*. 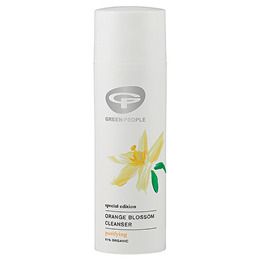 Below are reviews of Green People Orange Blossom Cleanser - 50ml by bodykind customers. If you have tried this product we'd love to hear what you think so please leave a review. This special edition, organic cream cleanser and make-up remover has a deep and complex aroma blend rarely found in natural cosmetics.